Maybe you've sensed a slight theme over the past couple of days? Songs that shout come and get it! 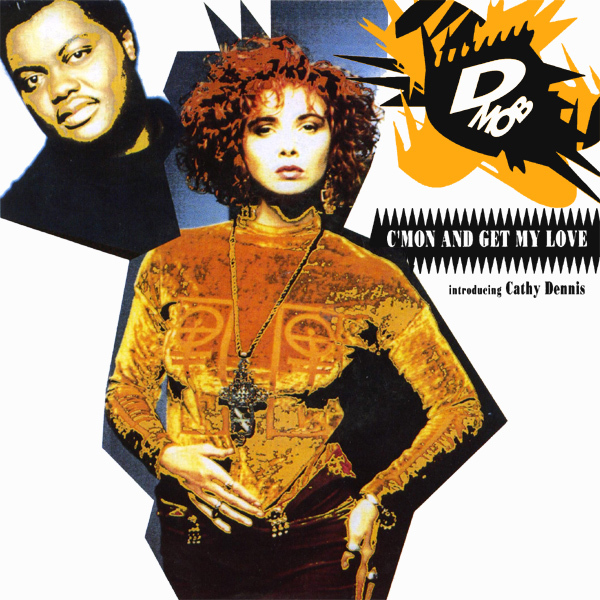 Today it is C'Mon And Get My Love by D-Mob Introducing Cathy Dennis that is getting the treatment. On the original cover we find Ms Dennis doing her best to entice us to go and get her love, but failing really to pull off quite the right pout for the job. On the remix we see a hot babe who is unequivocally demonstrating exactly where she wants you to come and get her love. Go Get 'Em!